World of Naruto MUD does not endorse any of the following MUDs. However, you might like to give another MUD a try, which has a similar theme. You might like that one better, might like to play both, or might appreciate ours more because of it. This MUD started in 2004 and is run on Smaug (which is similar to Rom, which World of Naruto uses). They have all original jutsus (although not very many of them) and all original areas (although very few of them). They allow you to pick from one of 5 villages - 4 of the main ones (Leaf, Sand, Mist and Rock) plus 1 minor village - Sound (note: Cloud village is not offered, in spite of being a main village). They do not offer clans, other than clans of your own creation, which act like guilds. They do not have any characters actually from Naruto, nor are any of their areas actually from Naruto. They have Taijutsu, Ninjutsu and Genjutsu, but these are not balanced. You can pick how much of each you want to have, and chop and change whenever you want to. They enforce roleplaying, forbid alias and triggers, and you cannot help another player on any quests, or in any way at all without immortal approval - all of these are bannable offences. They get up to about 5-6 users on most days during peak times, and have long periods with nobody on, overall about 1/2 as popular as World of Naruto. This MUD is a recent addition, being first designed in November 2008, based on someone coming to World of Naruto and being disappointed that we didn't offer kekkei genkai, and were planning on doing them last. This MUD has the idea to do kekkei genkai first, starting with just a few clans and then adding more later. They are focussing on the clans rather than on general commands. Their code base is Smaug. They have no major user base as of yet. Unlike Naruto For Us MUD, World of Naruto and Kage Legends, Naruto Mush: Rivalry is not actually a MUD. It is what is called a MUSH. That basically means that you roleplay all of the time. You cannot do anything out of character, you can't chat or gossip, and your entire character's performance is based on how well you act the part. They give votes to players who roleplay well, how good their character looks and so forth, and these votes are effectively your experience points. Few people who like MUDs like a MUSH and vice versa. If you do like both, you will probably have a MUSH mood and a MUD mood. Many of World of Naruto's player base also plays Naruto Mush: Rivalry. This Mush is much more popular than World of Naruto, getting up to 30 or 40 players on at a time during peak times, in other words up to 2-3 times as popular as World of Naruto. 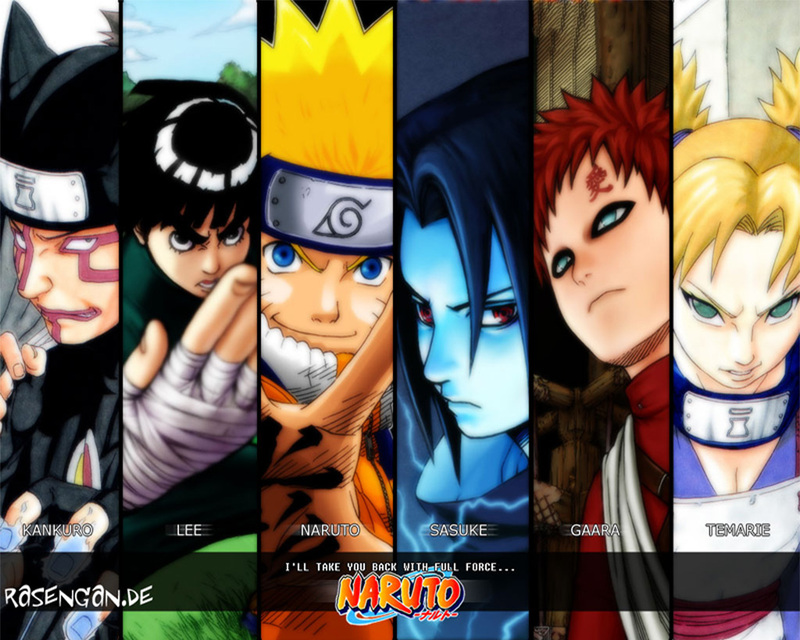 Naruto Desktop - A place for all of your Naruto wallpapers. MudMagic.Com Our host provider website: forums, polls, discussions, listings, hosting and more. The Mud Connector - Probably the most comprehensive site for all things to do with MUDs. Mud Bytes - I don't know about anything else, but they have a great listing of code repositories. GMud Download from Gutterstar - When playing World of Naruto, or any MUD, I prefer to use GMud. This is a good place to download it from.